Dermandar is a Lebanese startup specialized in digital image technologies offering an amazing tool to shoot, stitch and share panoramic pictures in an easy way. Being a fan of panoramas and taking panoramic pictures myself I should say that Dermandar offers a really practical tool. 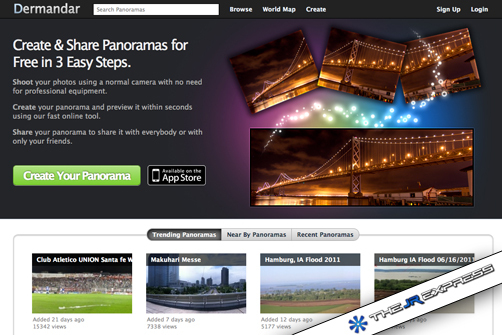 This new tool is a solution for one of the biggest problem of panoramas preparation: Time. The process of taking pictures with your camera then stitch them on your PC and share them online is really time-consuming. With Dermandar You can go through these three steps in less than a minute with, if well done, a really nice result. Dermandar was co-founded by Elias Fadel Khoury and Elie-Gregoire Khoury who was my mathematics teacher in my last year at school. They started by creating a website where you could upload your pictures, they will automatically get stitched and then you can share them by publishing them on your free Dermandar account. 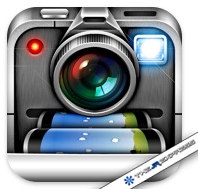 Today, Dermandar created a mobile application for iPhone allowing users to shoot, stitch and share directly on their phone. What’s really good is that the app is ad-free and free to download. In the Photography category of the Apple Store, Dermandar is in the top 5 in some countries like Italy, Deutschland and Australia and second in the US (On June 24th). In the first two weeks following the launch of the App (June 8th), Dermandar secured 200,000 downloads and according to the last numbers given by one of the co-founders the app reached 444,000 downloads on June 24th. The JR Express had the opportunity to ask some questions to one of the co-founder of Dermandar Mr. EG Khoury. 1- What were the first objectives the Dermandar team wanted to reach with the application ? Our online tool (web-based interface) is an easy 3-steps process : Shoot, Stitch, Share. We wanted to make it even shorter : Shoot, Share, to get more traffic. Since we released the app, we had 10x increase in our traffic in 2 weeks ! 2- Since the app is free and ad-free how is Dermandar making profit ? 3- How big is the Dermandar team ? 4- What are the problems you faced when developing this app specially those related to the fact that you are based in Lebanon ? Crappy internet access. Crappy electricity. Crappy GPRS. Crappy infrastructure all in all. Imagine what we can do with a better environment ! 5- Is it easy to recruit young Lebanese with good skills willing to work in Lebanon ? No. The best ones leave the country. The other ones have their brain polluted by stupid political discussions. Many are not hard workers enough, and suffer from MLSS : Mom’s Labneh Sandwich Syndrome (habibi don’t work too much or you will be sick). 6- What are the future plans of Dermandar ? Will the app be available on iPad ? It works on iPad 2 (ok it is not native), you just need to upgrade to iOS4.3.3. We will provide 3gs version, Android for sure. Also we will go vertical : real estate solution ! The success of this Lebanese application is a great step for the local developers industry and I hope it will encourage young developers to stay and work in Lebanon. Next Post How is MTV Lebanon Dealing with the Digital Age ?